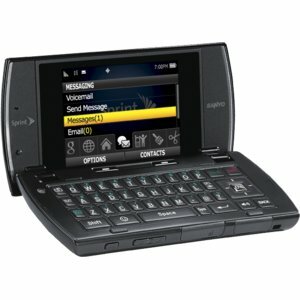 For those who don’t really want to “show off” their new phones, the free Sanyo Incognito for Sprint is a great choice. The Sprint Incognito Black features a unique external display that glows and reveals the dial pad when in use. This is one of the best text messaging and entertainment phones from Sprint and just in time for the holiday gift season. Flip open the SANYO Incognito you will see a large 2.6 inch screen – perfect for surfing the web and watching Mobile TV, and accessing your favorite social networks like Facebook and MySpace. The Sprint Incognito also has integrated GPS that supports turn-by-turn navigation. Whether you are a new or existing Sprint customer, you get up to 5 free Sanyo Incognito phones (or mix with other phone offers) from Sprint today. Update: Limited Time Offer – Get a Free Bluetooth Headset! The new free Sanyo SCP-3810 for Sprint might look like an ordinary flip phone, but packs with tons of features that you need to stay connected. It has a large screen that makes reading menu and text easy to read. The keypad is spacious super easy to use too. Compact and thin, the Sanyo SCP3810 is no ordinary phone at all. With goodies like 1.3 megapixel camera, mobile email, GPS navigation, Bluetooth v2.0, and more, you can 100% count on this new flip phone for everyday communication. This phone comes with 2 color flavors – Black and Red. For this holiday or any upcoming occasions, the Sanyo SCP-3810 Black is perfect for him and Sanyo SCP-3810 Red is perfect for her. How much does the Sprint SCP3810 cost? It’s FREE! No rebates required. Discount is taken instantly so that you don’t have to worry about when you will be getting the rebate check. Get you brand new free Sanyo SCP-3810 now and save.